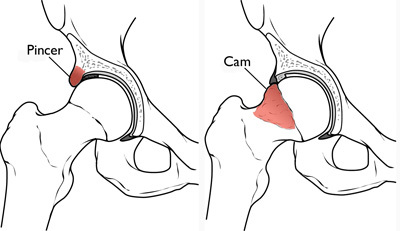 Hip Impingement - What is it? And how can it be avoided? Hip Impingement or Femoral Acetabular Impingement (FAI) is a condition of the hip where additional bone is present on joint surfaces. This additional bone is known as a CAM or pincer lesion and can cause joint impingement with certain movements, such as deep squatting. 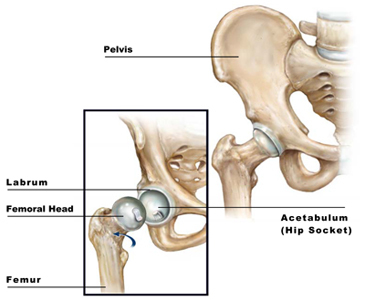 Around 20% of the population have FAI but only 23% of these people complain of hip pain. It is possible to still have FAI if you do not have all of the symptoms listed. Rest, ice, avoid high intensity exercise and movements requiring repeated hip flexion, twisting and deep squatting to relieve symptoms of hip impingement. Seek professional opinion from a physiotherapist for a correct diagnosis and an individually tailored rehabilitation program. This will vary depending on the severity of your symptoms and the duration of your condition. Physiotherapy will assist with symptom relief and will provide strategies to address any factors that may be limiting your recovery. It is important to remember that this condition is an anatomical matter but symptoms can usually be managed well through conservative treatment. However, if you do not is not respond well to this approach after 4-6 weeks, you may require a corticosteroid injection or surgery.